Zainul Abedin (b. 1914, Mymensingh, then India, now Bangladesh; d. 1976) was a painter, cultural organizer and pedagogue who is considered as the founding figure of Bangladeshi modern art. A Muslim teacher of the Calcutta Art School, Abedin moved to East Pakistan (now Bangladesh) after the partition of India. Here he established art education as part of the public school system and founded with others, what is today the Faculty of Fine Arts, Dhaka University. An activist defending Bengali culture, Abedin was engaged in both the Bengali Language Movement and the Bangladesh Liberation War. 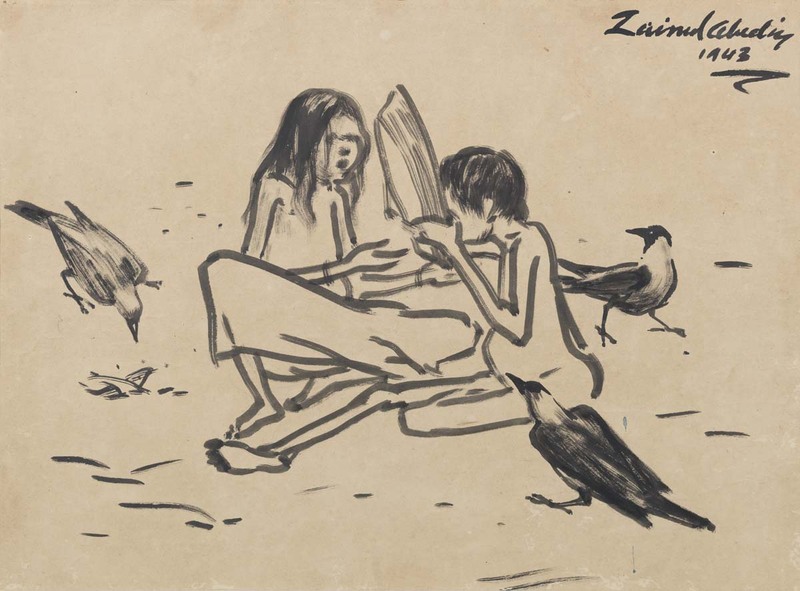 Abedin developed a social realist style, often focusing on struggle and suffering as in his acclaimed "Famine Sketches", which powerfully documented the Bengal Famine of 1943-1944. He also showed interest in marginalized communities, painting, for example, the Indigenous Santhal people, or refugees in the Palestinian camps of Syria and Jordan. Abedin received many awards and accolades during his life including an a Honorary Doctor of Letters degree from the University of Delhi, India (1974). His work is exhibited in a dedicated gallery at the National Museum of Bangladesh. Bengal Foundation has published or co-published several monographs and catalogues on his work, among them "Great Masters of Bangladesh - Zainul Abedin" (Skira, 2012), is the only comprehensive survey to date.